Audley St Elphin's Park Luxury Retirement Village. Set within 14-acres of landscaped grounds on a 44 acre site in Darley Dale, not far from Matlock and Bakewell. 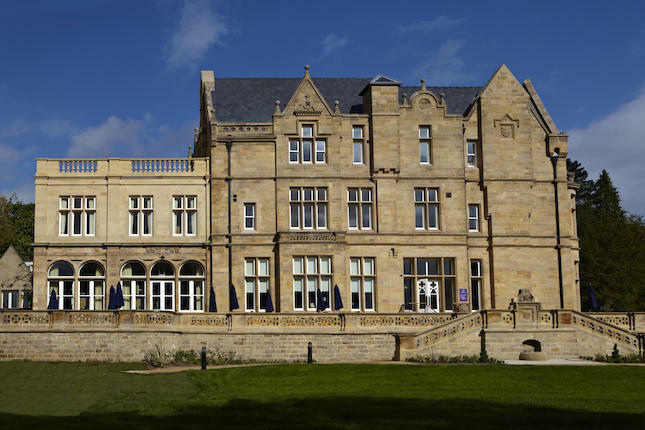 The centrepiece building, St Elphin’s House, started life as a private residence, becoming an exclusive spa in the 19th century, and latterly, a well-known girls' boarding school, St Elphin’s Girls School. We have restored this neglected Victorian schoolhouse stone by stone so that now it houses the Audley Club, with its luxury health club, fitness pool, Bistro Bar and the Orangery Restaurant. St Elphin’s House is also home to eight exceptional apartments, each individually designed to exacting standards complete with historical charm. Surrounding the Victorian grandeur of St Elphin’s House, and built to echo the appeal of a traditional Derbyshire hamlet, are attractively designed apartments, cottages and mews cottages. When it comes to entertainment and leisure, you're spoiled for choice. The Peak District National Park is on your doorstep. The Limestone Dales found in Derbyshire and the Peak District provide some of the most spectacular and picturesque scenery in the UK, and a dramatic backdrop to some of the best walks in Britain. Then nearby you will find the country houses of Chatsworth House and Haddon Hall and the magnificent Victorian Opera House in Buxton. Alternatively, for a spot of retail therapy, there are shopping outlets at nearby Rowsley and in the converted Masson Mills cotton mill. Luxury health and beauty at the heart of each village. When you move to one of our luxury retirement villages, you automatically become a member of the Audley Club. It is on your doorstep, part of the village and yours to use as you please. You can also use the facilities of the Audley Club at any of our other retirement villages, plus your family and friends are welcome to use them with you. As time moves on and some tasks become less easy, there's no reason why you shouldn't continue to live the life you know, in the home you've made. All you need is a visit from a trusted, friendly face; someone to listen and a helping hand when you'd appreciate it. Audley Care provide personal care services at all our villages. The Marketing Suite is open daily from 10am to 5pm.